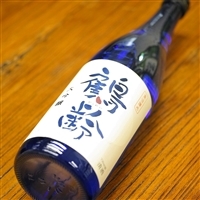 Our SAKE selection is same as our wine selection, focus on quality and it should be hand-made natural products. These SAKE is transported by reefer container and air-cargo with ice-packing to keep perfect condition from Japan to Hong Kong. by HKSAR Food and Environmental Hygiene Department.